This store is located in the heart of Eastpointe, on Gratiot Ave. one block north of 9 mile. The manager of this store is Mark Horvath. Mark grew up on the east side of Metro Detroit and has over 25 years of experience in the automotive finance industry. CARite of Eastpointe is the original CARite location, which Mark has owned and operated for many years. He employs a team of veterans with over 80 years of experience combined to help you get on the road. Mark is a hands on operator and is respected in his community with flawless reviews. 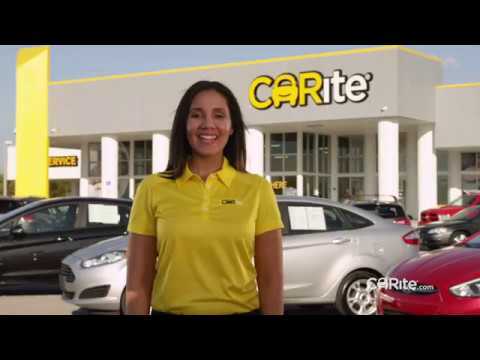 Come visit CARite of Eastpointe, where YES means MORE! Jeff was such a great help making sure i get the car i wanted that I wanted making sure I drove off the lot today. Everyone was beyond helpful. i especially appreciate Jeff, he was so helpful with explaining the insurance portion of it all. i would definitely recommend my friends!! Went to another dealership and they gave me the run around. Talk to Jeff from Eastpointe Carite and guaranteed service and to help me. Jeff was so helpful and got me in a great car. Friendly and patient, good guys. Last review was a little hasty as I did t have the best communication on my end. In the end of the day everyone is human mistakes are made. You don’t get a more human experience here, as far as compassion and drive to get the job done and assure that the customer is happy. I’ll be back after my car is paid off for another . Jeff was very professional and nice. I like how he said what he was going to do for me and he kept his word and now I have exactly what I wanted. the staff were more than welcoming, made me feel like family i recommend coming here for your first car or a great deal!!! I called and spoke to Jeff Morris, he gave me detailed info on the phone about the process they use at Craite. When i walked in the door everyone was very friendly and had smiles on there face. Everything Jeff told me on the phone is exactly what happened, I would recommend anyone who needs a car come see Jeff Morris. If you are looking to buy a vehicle this is the place to shop. Awesome staff, easy process, and no hidden agendas. They work with you every step of the way. The process was simple and took less than 2 hours. They have a wide variety of quality vehicles to choose from. They make sure you get what you want and will go above and beyond to make it happen for you. They make you feel like family. Stop in and ask for Jeff, he take care of you!!!! !